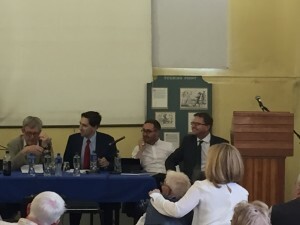 I was delighted to attend the Parnell Summer School recently. At the Summer School I gave a speech on the echoes of 1916 and patriotism in the modern era. Below is a transcript of that speech. Nationalism cannot become the sole preserve of an exclusionary, closed borders rhetoric. A positive force for national self-confidence and assertion of fraternity; a recognition that between the models of material individualism and xenophobic supremacy lies a third way. Communitarian, egalitarian and continually evolving, true patriotism embraces diversity and recognises the nation as a state of mind and cultural connections as much as a physical entity bound by borders and barriers.